I have a confession to make, at the start of the year I convinced myself that I was going to write a blog entry at least once a week, that plan didn’t quite work out, so now 7 and a half months into the year I’m going to try again. 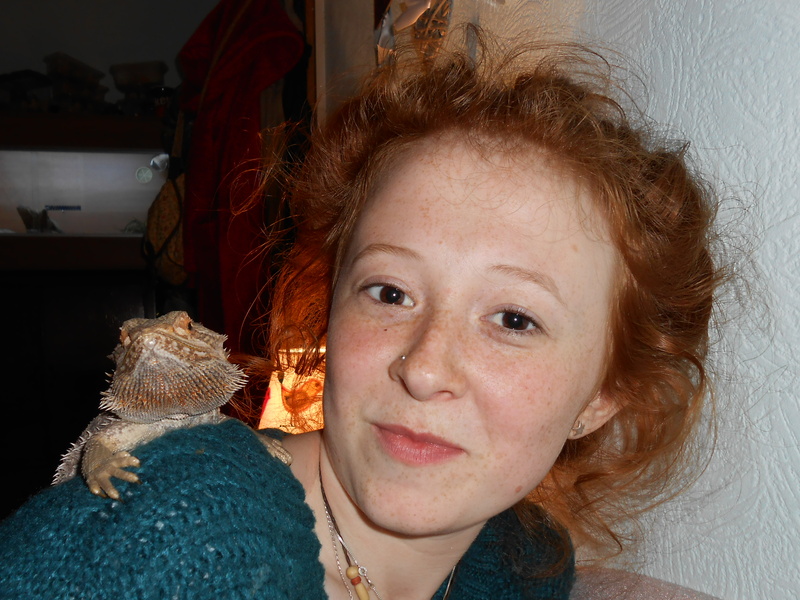 Here’s a picture of me with my lizard, Liz. I recently passed my driving test (first time) so I am planing on going to lots of craft fairs! But first I need to get a lot of stock together. I finished making another batch of pin cushion sewing jars which were featured in one of my first blog posts, that’s one project crossed off the list! Yesterday was a very productive day for me as I designed and made an applique landscape picture (I completed it in one day!) so this morning I was feeling a bit down in the dumps because all of my creative energy had been zapped, I woke up early in the hope to go on a bike ride, but the beautiful Cornish summer weather wasn’t so beautiful. Stuck inside all day, I decided that I should probably get back to writing this and here we are. Wow, sorry for being so boring. I didn’t realise I had written so much! a creative post will be written shortly.. I hope. Waffle weave and basket weave sample using merino, alpaca silk and wool. Another week, another warp! I wouldn't usually work with these colours but I'm trying to move out of my comfort zone.. hopefully it pays off! Love how much variation double cloth can create! !